Each of three pieces of advice should be followed twice in order to complete the grid. Clues lead to the solution before the advice is followed. 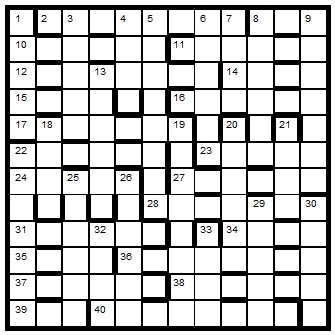 Extra letters in the word-play of down clues (in addition to those needed for the solution) tell solvers where they can look for instructions. The author of the advice should be highlighted. ODQ and Chambers (2011) are recommended. To enter this competition, send your entry as an image or in list format indicating the highlighted entry, to ccpuzzles@talktalk.net before the 8th June 2015. The first correct entry drawn from the hat will receive a book from the Chambers range which has been donated by Chambers.